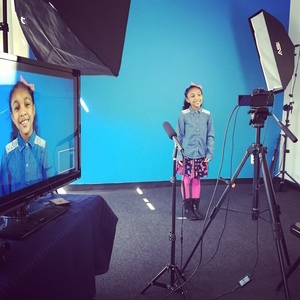 An ongoing on-camera acting "gym" for actors ages 10-13, with a focus on helping young actors get more comfortable, confident, and natural on-camera. All actors will be assigned current tv scenes, will work on-camera each week, and will be coached through the process of script analysis, making choices, focusing on the story, memorization, improvisation, and listening. Actors will work on-camera with Bryan to become truthful in their work, natural in their delivery, confident in front of the camera, and have a clear sense of approaching scripts in the current tv and film market. All actors receive a video of their work each week for further development. Limited to 10 students.